UA in Rome: C&IS Information page at UA Education Abroad: This page includes all the costs associated with the trip and the downpayment dates/amounts and provides info on how to make payments. Page on how to make down payments: these payments are vital to show progress on enrollment in the course. 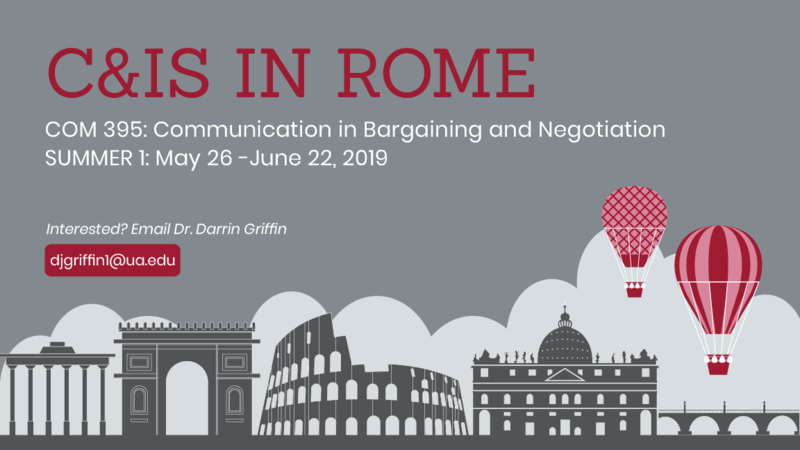 If you would like to join this class please complete the application at the Education Abroad website and select "UA in Rome: C&IS" in the application. Please email me once you have completed the application so I can go in and approve it.